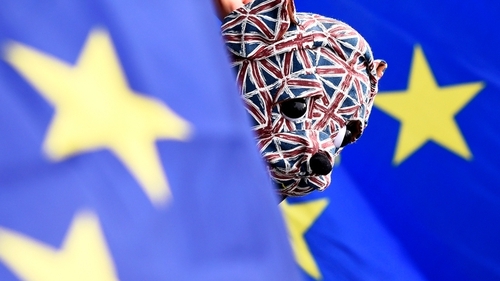 European Union and UK market watchdogs have agreed pacts for swapping information on asset managers, credit rating agencies and transaction reporting bodies to avoid chaos in the case of a no-deal Brexit. The pacts are in the form of a memorandum of understanding. They will allow regulators in the bloc and Britain to exchange information on credit ratings agencies like Moody's, Standard & Poor's and Fitch with major operations in London that rate firms across the EU. The MoU also covers trade repositories that banks and other financial firms must use to report derivatives transactions. Many of the repositories are based in London. The European Securities and Markets Authority said today that the pacts would allow it to "continue to discharge its mission and meet its mandate regarding investor protection, orderly markets and financial stability in the EU". The ESMA said it also reached agreement with the UK's Financial Conduct Authority (FCA) on sharing information to allow cross-border asset management activities to continue if Britain leaves the bloc with no deal. "This, in turn, will allow certain activities, such as fund manager outsourcing and delegation, to continue to be carried out by UK-based entities on behalf of counterparties based in the European Economic Area," ESMA said. Sources told Reuters this month that BlackRock and Goldman Sachs Asset Management would temporarily move some British-based fund managers to New York if ESMA and the FCA failed to agree an MoU in time. The FCA's chief executive Andrew Bailey said the MoUs should minimise the potential for financial market disruption from a no-deal Brexit. Britain is due by law to leave the EU on March 29, but it wants to reopen a divorce settlement negotiated with Brussels, rejected in the London parliament, that would provide for a 'status quo' transition period of at least 21 months to allow future trade arrangements to be agreed. Many funds listed in Dublin and Luxembourg are managed from London. "Ensuring that there is no disruption for the millions who currently save and invest via regulated funds and that they can continue to access global expertise is vital," said Pat Lardner, chief executive of Irish Funds.